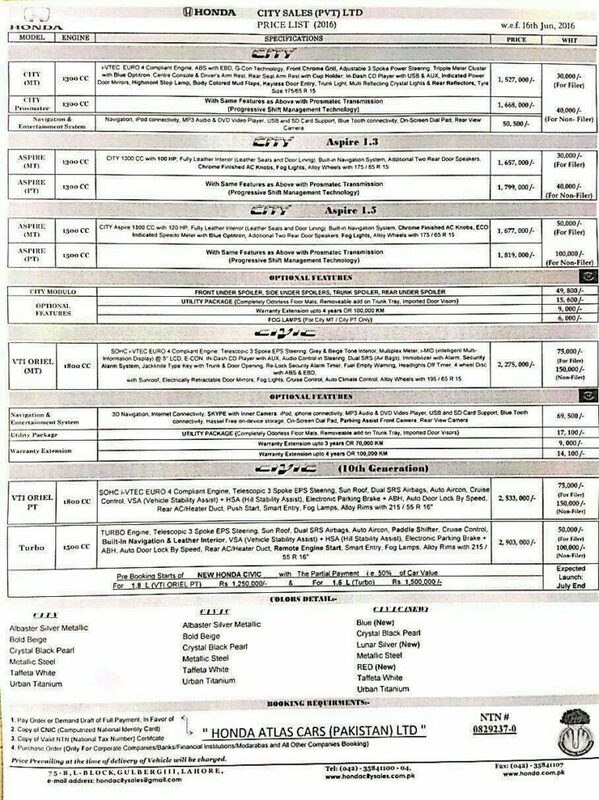 New Civic For PKR 3.0 Million.. Are You Ready To Buy? June 16, 2016 June 20, 2016 - by UsmanAnsari - 4 Comments. 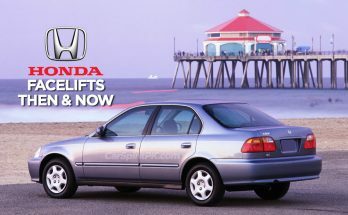 There was a time when the Honda Civic used to be an economical and affordable sedan in our market. 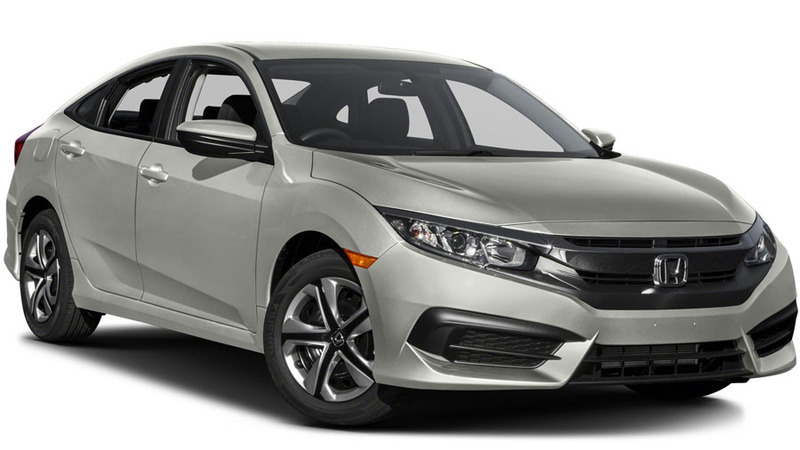 Available in 1200-1300cc engines the Civic up until the early 90s was placed below the Honda Accord which was offered in 1600-1800cc engines. However since the local production of automobiles began, the Civic kept increasing in dimensions, engine displacement and off course its price! Although across the globe the Civic is still considered as an economy sedan, but in our market it has become a luxury to possess. Since 2006, the 8th generation Civic was only available in 1800cc engine and became the most expensive mass-produced car in Pakistan. The affordable sedan of the 80s became a status symbol of the current era and started to cater to a very limited class of buyers. With the launch of all new 10th generation Civic on the verge, Honda has revealed the prices for Civic variants. The 1.8 liter naturally aspirated Oriel variant will cost PKR 25.33 lac while the turbocharged 1.5 liter version will cost PKR 29.03 lac. WHT (withholding tax) for 1.8 liter Oriel will be 75,000 for filers & 150,000 for non-filers whereas for 1.5 liter turbo versions it will be 50,000 for filers and 100,000 for non-filers. Off course on-road price will be much more than this when you add registration & insurance expenses, the Civic will exceed PKR 30 lac barrier. 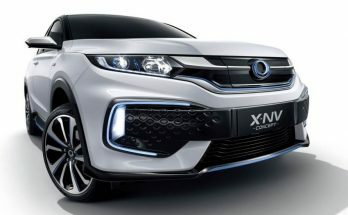 Although quite a few people are anxious to get their hands on the 10th gen Civic as soon as possible, however considering the fact that the car misses out plenty of features that are available in international models, the price is way too high for a Honda Civic. Another problem is that Honda has recommended 91 RON (Hi-Octane) only, for the 1.5 liter turbo Civics and considering the low quality fuel available in Pakistan (Regular 87 RON), use of standard petrol will ruin the engine. Cars are becoming an expensive commodity in Pakistan. And in recent years there are several options available for the elites but hardly any for the vast majority of auto consumers. Cars like Vezel, Prius, Civic etc can still be found in considerable number on the roads but at the same time are out of the reach of many. Auto makers need to bring cars catering to the budget segment, which are practical, affordable yet easy to maintain. Both Honda & Toyota have a good variety of such cars in their portfolio which they can introduce here, such as the Toyota Vios, Toyota Passo, Honda Life, Honda Brio & Honda Amaze. Unfortunately they won’t introduce anything which harms the interests of Pak Suzuki! Edit: Honda Atlas has updated their website on 17th June with new prices for the Civic 2016. Do note that prices will remain tentative until the federal budget is announced. 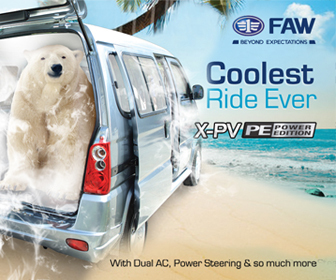 Visit Honda Pakistan website for more info. Very expensive. For what it is..hope thé engin can take thé temps of Pak. On thé other hand they should pût up pétrole pump at Honda Outlets with High octane distribution.